Comedian Eric Schwartz poses for The Ice Comedy Club's 54th Anniversary Celebration, Day 3 at The Ice House Comedy Club on on October 12, 2014 in Pasadena, California. 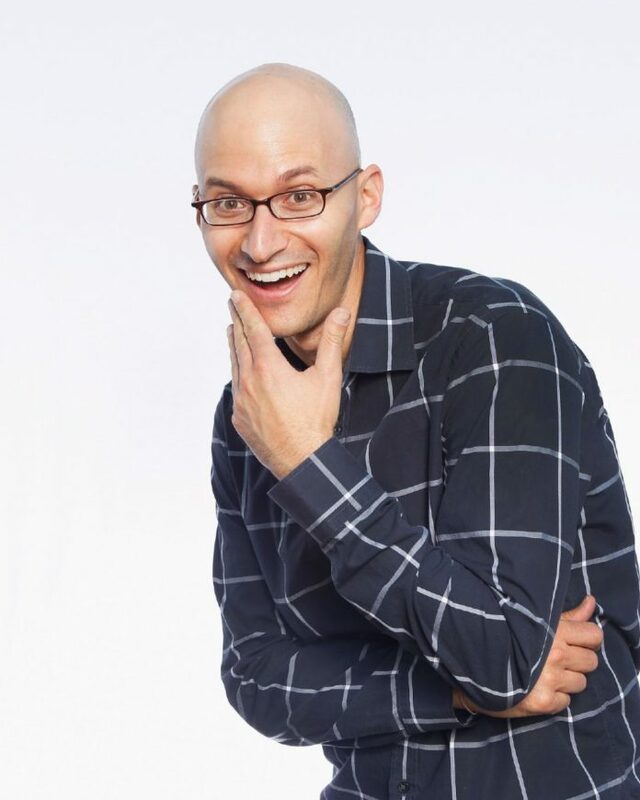 McALLEN — Touring comedian Eric Schwartz grew up with monthly visits to his mom and Mexican stepdad — who introduced him to Spanish slang, pronunciation and culture. Schwartz has known how to say the word since eating Serrano pepper as punishment for a mispronunciation. The comic jokes the family memory was a form of torture. Spanish was his college minor, where he became fluent, thinking and dreaming in the language, he said. When he’s immersed in the language, it comes back to him. He uses the language in his web series “Cultura,” where Schwartz once searched Los Angeles for elote. “I see these things that I’ve never experienced in the culture, and I’m trying to play catch up now,” he said. Schwartz brings his Gringo De Mayo tour to McAllen tonight to headline Cine El Rey’s weekly night of comedy. Life in entertainment is a “nonstop show,” he said, adding pressure to populate social media platforms with constant content makes you better. His song parodies and videos go viral via email, Myspace, YouTube and Facebook. Schwartz said he was an early adapter of content creation which bled over from his time crafting mix tapes as a DJ. “My goal is to post something every day that keeps everybody laughing and engaged with what I’m doing,” he said. His videos garner millions of views, and he cites his recent success as a way to get more opportunities. Schwartz plans to shoot a few episodes in Texas, including one in the Rio Grande Valley. “A lot of Americans don’t know how cool Mexico is,” said Schwartz, who visits his parents in San Miguel de Allende, Mexico. Most Americans have an unjustified, negative misconception about Mexico, he says, noting its people are some of the warmest he’s met. He hopes to one day take “Cultura” to Paricutín volcano — the origin of familial tongue-twister.